How are we all? I’m writing to you from the Canaries, where the Ross family have escaped for a week to warm our pasty skin in the sun. I’m sure any self-employed person or parent will agree with me when I say that days of true rest and relaxation are a figment of the distant past, if they ever existed. After all, it’s impossible to truly relax when ideas for new books interrupt your enjoyment of the gentle lapping of the waves against the shore, or when a precocious four-year-old is tugging your arm in the general direction of the kids’ pool. Nonetheless, The Rosses are certainly more tanned (which, thankfully, steers us away from ‘anaemic-looking’ and back towards a ‘normal’ skin shade) and the bartender has been generous in his ‘Spanish Measures’ approach to cocktail-making in the evenings, so life is good! But enough of my holiday shenanigans…it’s time for our next Author Introduction! This week, I’m delighted to present Jennifer S. Alderson. Jennifer was born in San Francisco, raised in Seattle and currently lives in Amsterdam. Her love of travel, art and culture inspires her on-going mystery series, the Adventures of Zelda Richardson and her background in journalism, multimedia development and art history enriches her novels. In Down and Out in Kathmandu, Zelda gets entangled with a gang of smugglers whose Thai leader believes she’s stolen his diamonds. The Lover’s Portrait is a suspenseful “whodunit?” about Nazi-looted artwork that transports readers to wartime and present-day Amsterdam. Art, religion, and anthropology collide in Rituals of the Dead, a thrilling artifact mystery set in Dutch New Guinea (now Papua) and the Netherlands. Hello and thank you for inviting me to your blog, LJ Ross! I am an American expat and author of four books. I was born in San Francisco and raised in Seattle, Washington, a gorgeous yet rainy city on the West Coast of America. A serious dose of wanderlust drove me to quit my job and travel through Asia, Central America and Oceania for four years. I even lived in Darwin, Australia for eighteen months, until the heat and cyclones got to be too much. Home is now Amsterdam, where I live with my Dutch husband and young son. My journeys inspire and inform my writing. The Adventures of Zelda Richardson mystery series transports readers to exotic locations around the globe. Down and Out in Kathmandu is about a volunteer English teacher who gets entangled with diamond smugglers. The Lover’s Portrait: An Art Mystery, my second book, is a suspenseful “whodunit?” which transports readers to wartime and present day Amsterdam. Art, religion, and anthropology collide in my third novel, Rituals of the Dead: An Artifact Mystery. Like the star of my mystery series, I am an avid traveler, multimedia developer, journalist, and art historian. Unlike Zelda, I have never been threatened with jail time, chased after by art thieves, tasked with tracking down illegally acquired artifacts, or entangled with a diamond smuggling ring. I’ve also released a travelogue – Notes of a Naive Traveler – about my own experience volunteering and backpacking in Nepal and Thailand. Rituals of the Dead is a thrilling mystery about Asmat artifacts, missionaries, smugglers and anthropologists. I cannot wait until April 6, when it is released as paperback and eBook! It is set in present-day Amsterdam and New Guinea in the 1960s. I wanted to write a mystery around a bis pole, an ancestor object similar to a Native American totem pole. They are carved by the Asmat in Papua, a region in the Indonesian half of the island. Amsterdam plays a role because Zelda is working at an anthropological museum in the city on an exhibition of Asmat artifacts. However, Zelda’s experiences are far more thrilling than my own! The storyline was inspired by collection research I conducted for a fascinating exhibition of Asmat art and artifacts called Bis poles: Sculptures from the Rain Forest. It was held in the Amsterdam’s Tropenmuseum in 2008. While researching the histories of Asmat objects held in Dutch museum collections, I came across many bizarre stories about headhunting, crazy explorers and daring anthropologists. Those stories stuck with me long after the exhibition opened and eventually inspired this novel. My intention in writing this book is not only to entertain readers, but also to inspire them to learn more about the Asmat and their fascinating culture. Readers can expect to learn about Asmat art, Dutch colonial history, the treatment of human remains in Western museums, artifact smuggling, Catholic missions in Oceania, and physical anthropology. Luckily these rather heavy topics are woven into a fast-paced thriller that takes my beta readers’ breath away. This is a really difficult question for me to answer. Intrepid explorers are my heroes; there are so many I admire. Amelia Earhart is probably my favorite because she followed her dreams, even when those around her thought she was crazy to do so. Barbara Walters was also a huge inspiration to me when I was younger, and one of the reasons why I studied journalism. In fiction, Miss Marple is the first character to pop into my head. She was always in the right place at the right time, can listen without being seen, and is able to put anyone and everyone at ease whilst remaining calculating and calm. I wish I could be like her. Alex Garland’s novel The Beach is the reason I wrote my first book, Down and Out in Kathmandu. It made me realize travel fiction could be thrilling, as well as convey a strong sense of place. Janet Evanovich’s protagonist Stephanie Plum is such a sassy personality. I love the witty banter between the cast of characters as well as the wacky plots. Donn Leon is a prolific author of twenty-seven (and counting) mysteries set in Venice and starring Commissario Guido Brunetti. 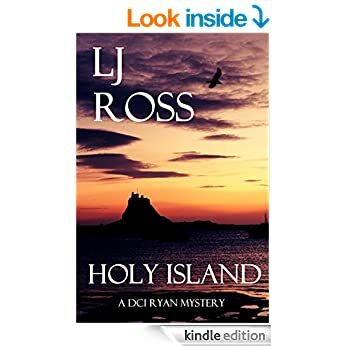 Each is well-built story about a different aspect of this tiny island city: insight into politics, effect of tourism, corrupt police, underworld figures, the glass industry – you name it. It’s an incredible feat to be able to write so many novels about one place without them turning into cookie cutter stories! And her descriptions of Venice are wonderful; I always feel as if I’m walking along the canals with her characters. Considering this is one of my favorite cities to visit, I truly enjoy reading her work! I know this makes four but I couldn’t leave out Agatha Christie. I read all of her mysteries when I was a girl and I am certain they influenced my decision to write mysteries later in life. I enjoy swimming, biking around the Dutch countryside, occasionally kayaking through Amsterdam’s canals, and reading a book while sitting on a sunny terrace. Though you’re most likely to find me in one of the hundreds of museums and art galleries in this lovely city. I’m most proud of my having created a good life in the Netherlands. Moving abroad is always a challenge; it takes a lot of time and energy to find your place in a different society. After living here for more than fourteen years, I now feel more home in Amsterdam that I ever did back in Seattle or San Francisco. The Choose Your Own Adventures novels by R. A. Montgomery taught me early on that life is one big adventure and choices abound. That’s been an important and lasting lesson in my life and writing. Have you read any books recently that have really captured your imagination?The Secret Wife by Gill Allen, The Ghost by Robert Harris, Fast Track to Glory by Tomasz Chrusciel, and Titian’s Boatman by Victoria Blake are all recent reads that stuck with me long after I read them. First, I would ask if Prime Minister May was enjoying her vacation. Yesterday I biked by Alain de Botton’s School of Life, which reminded me of his glorious book The Art of Travel. It’s a collection of essays about how venturing outside of your borders and comfort zone can teach you so much about the world, others, and ultimately yourself. The prose is at times pragmatic, then suddenly wistful. I would love to know what she thought of it. Claire Tourneur, the lead character in Wim Wender’s Until the End of the World, played by Solveig Dommartin. It is truly the ultimate road journey, taking her from Europe to Russia, Japan, Australia, and finally outer space. She stands open for any and every new experience that crosses her path, and ultimately has the adventure of a lifetime. I am quite envious of her trip! …Thank you, Jennifer! Can’t wait to read some of your work – I’m a big fan of novels which celebrate history and strong locations so it sounds right up my street. Wishing you every success with your forthcoming release on 6th April.